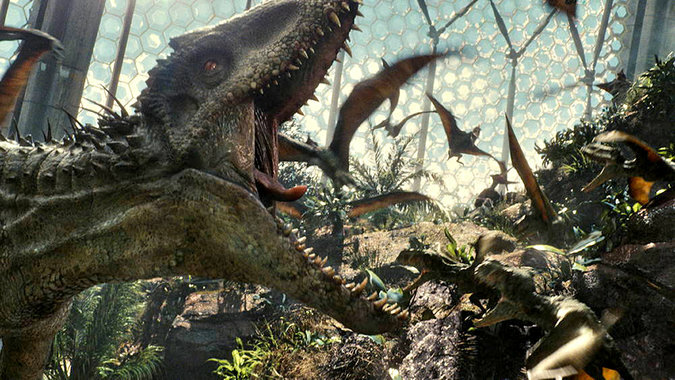 What is needed to create a real Jurassic World? Like many moviegoers this summer, I plan to watch Jurassic World. And because I’m a paleontologist, I’ll cheer for the movie’s protagonists (the dinosaurs) and jeer at the villains (the humans). But no matter how thrilling this movie may be, one question will plague me throughout: where are the dung beetles? 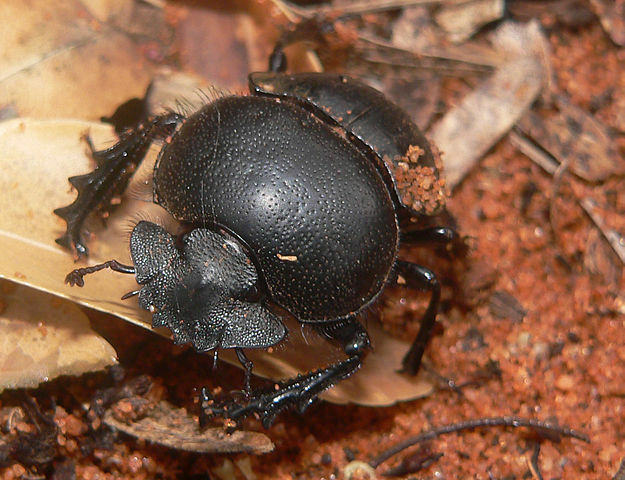 Dung beetles – which are beetles that eat and breed in dung – would be only one of many ecological necessities for an actual Jurassic World-style theme park. Yes, cloning long-extinct dinosaurs is impossible. But even if dinosaur genomes were available, the animals couldn’t simply be plopped anywhere. So for the sake of argument, let’s say an extremely wealthy corporation did manage to create a diverse bunch of dinosaurs in a laboratory. The next step in building a Mesozoic version of Busch Gardens would be figuring out how to recreate – and maintain – the dinosaurs’ ecosystems. Accomplishing this goal would require a huge team of scientists, consisting (at minimum) of paleontologists, geologists, ecologists, botanists, zoologists, soil scientists, biochemists and microbiologists. Such a team then would have to take into account countless interacting factors for the dinosaurs’ recreated habitats. And perhaps they could take a page from rewilding efforts that are currently taking place throughout the world. In a memorable scene from the original Jurassic Park, paleobotanist Dr Ellie Sattler examines an impressive heap of an ill Triceratops’s feces to look for digested remains of a toxic plant. Here, the filmmakers touched on a key challenge for recreating an environment from a different geologic period. Many modern plants have evolved defenses against herbivores, which include toxins that can swiftly impair any animal that hasn’t adapted to them. Consequently, a time-traveling Triceratops would be taking a big risk with every visit to its local salad bar. Paleobotanists could try to solve this problem by cataloging fossil plants that lived at the same time as plant-eating dinosaurs, before picking out descendants of those plants that are still around today. Still, plant lists will never be good enough to say whether or not a Triceratops, Stegosaurus or Brachiosaurus ate those plants or if they could eat their descendants. The same might hold true for carnivorous dinosaurs, which – for all we know – may have been picky eaters. For instance, although some Triceratops bones hold tooth traces of Tyrannosaurus, there’s no way to be sure a genetically engineered Tyrannosaurus would eat an equally inauthentic Triceratops (even if it were organic and free-range). So despite a century of dinosaur flicks portraying tyrannosaurs and other predatory dinosaurs gratuitously munching humans, one bite of our species – or other sizable mammals – might make them sick. In other words, there’s no accounting for taste. The lack of dung beetles in that same scene with Dr Sattler also may have explained why the Triceratops’s feces were piled so high. We know from fossil burrows in dinosaur coprolites (fossil feces) that dung beetles fed on dinosaur droppings at least 75 million years ago. Similarly, Late Jurassic dinosaur bones from nearly 150 million years ago hold the traces of carcass-eating insects. Dung beetles wanted. Above: Scarabaeus viettei 01. By Axel Strauß, Creative Commons via Wikipedia. This makes sense: wastes, bodies and other forms of stored matter and energy must be recycled in functioning modern ecosystems. Accordingly, to maintain the productivity of these dinosaurs’ ecosystems, animals that perform essential services to the ecosystem would need to be introduced. These include pollinators, such as bees, beetles and butterflies, as well as seed dispersers, like birds and small tree- and ground-dwelling mammals. Thus Masrani Global – the imaginary corporation tasked with creating Jurassic World – should have added entomologists (insect scientists), ornithologists and mammalogists to the career opportunities page on its mock website. Can we learn anything useful from such fanciful reconstructing of long-gone ecosystems, where large animals once roamed? Sure. In so-called “rewilding” projects, imagination meets real science. These projects, which attempt to restore ecosystems by closely mimicking their previous iterations, often include reintroducing locally extinct animals. Perhaps the most famous and successful of such rewilding projects began just after the release of the original Jurassic Park. In 1995, wolves were reintroduced to Yellowstone National Park. Although admittedly not as exciting as releasing a pack of velociraptors into the woods, the reintroduction of wolves – which had been extirpated from the area earlier in the 20th century – had a dramatic restorative effect. After the wolves gorged on elk – which, without predators, had overpopulated the region – riverine foliage grew more lushly. This prevented erosion and expanded floodplains, which gave beavers a better habitat to get to work damming rivers. A similar experiment is taking place in Europe, where increased numbers of large carnivores, such as wolves, bears and lynxes, are reshaping their ecosystems closer to their original states. Bolstered by these successes, rewilding proponents have even proposed reintroducing elephants, lions, cheetahs and other animals to parts of North America as ecological proxies to mammoths, American lions and American “cheetahs” that lived only a little more than 10,000 years ago in those areas. Given the much shorter elapsed time since their extinction, enough similar species today and no need for genetic engineering, a “Pleistocene Park” – Pleistocene being the geological epoch that was about 2.5 million to 11,700 years ago – would be far easier to achieve than a Jurassic World (while also being more alliterative). So to any corporations out there that are thinking of making such a park, do us a big favor: whatever you do, don’t forget to include dung beetles. Anthony J Martin is Professor of Practice at Emory University. This article was originally published on The Conversation. Read the original article.